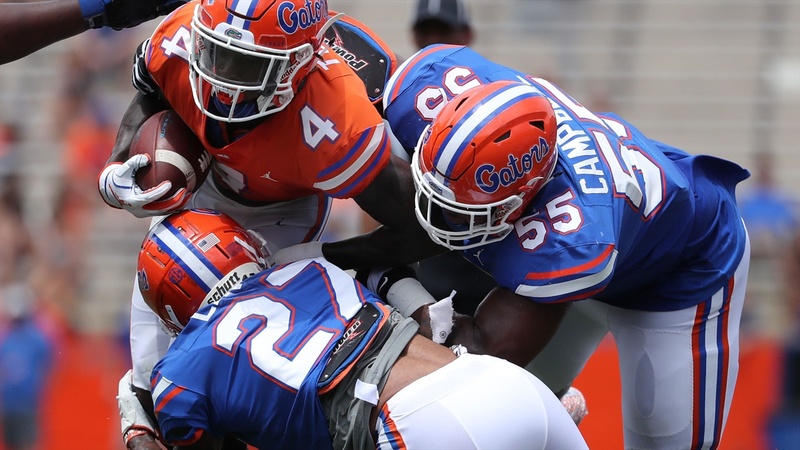 A detailed look at how the Florida Gators performed defensively position-by-position in the Orange & Blue Game. Some of the key defensive observations from Saturday's high-scoring Orange & Blue game. While Saturday's game in Ben Hill Griffin Stadium featured 34 completions and 762 passing yards and the 60-35 victory for the Orange team was the most points scored in the history of the Orange & Blue game it wasn’t exactly a lack of defense that caused that result. I'm just not worried about the defense. Plenty of talent and good coaching.